We are up front and open with our prices, no hidden conditions or small print. We have a simple hourly rate with discounts if you buy in blocks. Evening and weekends are the same price as week day lessons, subject to availability. As our reviews show, just great quality lessons and value for money! As our reviews show, you're getting top quality at competitive prices. Plus our charges are straight forward, as we don't charge more for evening and weekend lessons, and we don't charge different prices for different postcodes. Block payment discounts - The more you buy the more you save! 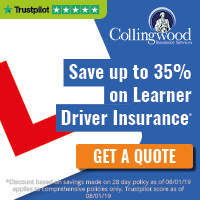 This includes a 1 hour warm up lesson before the test, insurance cover, and time to travel to and from the test centre (up to 3 hours total time). Booking of an instructor's car for test will be subject to an initial assessment lesson. See further terms and conditions. Refresher, motorway and UK familiarisation lessons are available at standard lesson rates as shown above. Please contact us for an accurate quote or discuss your specific requirements further. For information about Pass Plus, including savings on your car insurance premium click here. Credit and Debit card payments can be accepted over the telephone to our head office. ELITE act as a handler for these payments. Once the payment has been received by ELITE the funds will be paid directly to your instructor, who then is solely responsible for the monies received. We do not accept on-line payments via our website, as we want to ensure lessons are booked in with one of our instructors before accepting payment. Cash payments should be made directly to your instructor. Payments will be recorded on your pupil record card, so please ensure you remember to bring this with you to every lesson. As self employed franchisees of ELITE Driving School, once the payment has been received by your instructor the instructor is solely responsible for the monies received. ELITE act as a handler for these payments. Once the payment has been received by ELITE the funds will be paid directly to your instructor, who then is solely responsible for the monies received. As self employed franchisees of ELITE Driving School your allocated instructor can provide you with their own nominated bank details for you to pay them directly.